Smarter Loans > How Do Business Loans Work? When you’re looking to expand your business, starting with a business loan is often the first step to moving forward. Obtaining a business loan can be a long and somewhat uncomfortable process, but here are the basics of what you need to know. In Canada, small businesses have secured over seventy-six thousand loans, amounting to $9.4 billion in loans. 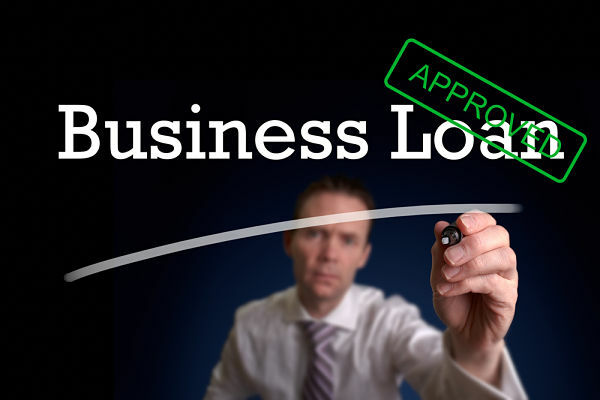 A business loan is a sure-fire way to move your business forward. First off, if you’re thinking about applying for a business loan, you definitely want to apply early. Securing this kind of loan is a lengthy process that oftentimes takes several months and several banks. In fact, it’s not uncommon for a small business owner to have to visit several different banks before finding the institution that will be most comfortable working with him, and it is vital that he remain patient during this process. A business loan can be used for one of several things; purchasing new assets, business expansion, and acquisitions. It’s important to understand that there are two different types of business loans available from conventional banks. Fixed rate loans provide a consistent monthly payment schedule and are available starting at ten thousand dollars from most institutions. Variable rate loans are slightly more flexible, as you are able to make partial and full payments to the loan without risking a penalty. Variable rate loans tend to start at five thousand dollars. Depending on the size of your business and what it is you’ll need the money for, the type of loan you need may be different. Most business loans can be secured for a term of up to seven years, ensuring that as long as you sign up with the right bank and the right loan for you, you won’t end up trapped at a rate you are unable to pay. With a fixed rate loan, your payments can generally be blended to include both the principle rate and the interest. When it comes to variable rate loans, the payment amount is set to make sure that the loan will be paid off in the agreed upon time without making it useless to your business’ needs. Depending on the size of the loan, the interest rate can be anywhere from six to eight percent. The interest rate on a loan depends on several factors, including the type of the business, how safe the risk of the loan is for the bank, the business’ industry, the state of the economy, and the business owner’s credit history. Make sure that your business looks as safe as possible to ensure the best interest rate. Though securing a loan with a bank may seem like the most obvious choice, there are alternative options that are quickly becoming more desirable. Looking into online loans can open up several more options for your business. Non-bank financing is rising into prominence with the evolution of the Fintech—or financial tech—industry. While the internet may only have been around for a few decades, billions of dollars in business now circulate online commerce every day. There are now thousands of online firms to support businesses and the growing online economy. The ability to secure a loan online is becoming the most convenient way for a business to expand. Online financing firms offer businesses access to loaned funds in less than a tenth of the time it would take with a traditional bank loan. Most online loan firms will ask you to fill out a thorough application and get in contact with you over the phone. With a fintech alternative to traditional bank loans, your loan could be approved in as little as twenty-four hours, even if you have poor credit. Though all of this information is important when it comes to applying for a business loan, be sure that you do as much research as possible before broaching the subject with any financial institutions. Take as much time as you can to prepare every reason the bank should want to work with you, and make sure that you have the proof your lender will need to understand how great a risk your business is going to be.